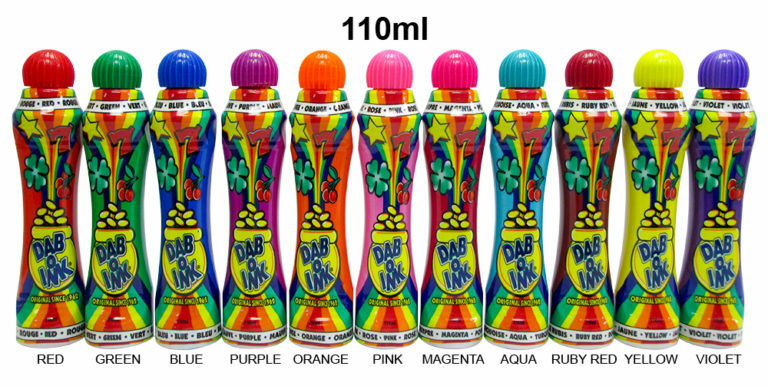 Dab-O-Ink Classic Inks 80ml and 110ml Bingo Markers are available in ELEVEN classic ink colors. Our color coordinated ribbed cap and sleeve designs are fun and eye-catching. Each sleeve indicates the color of the ink in the bottle.